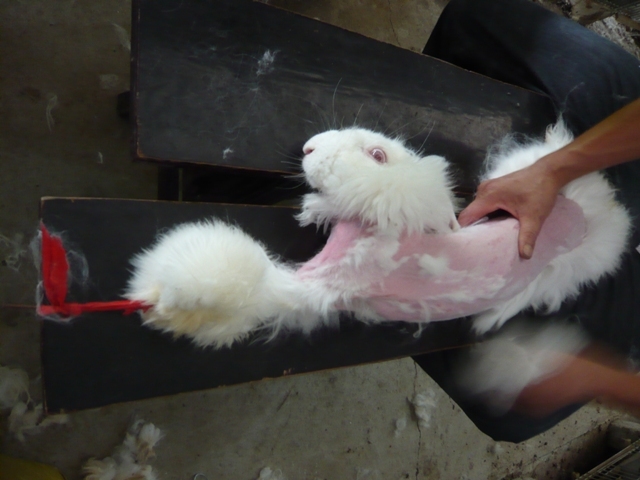 Good news for anti fur fashionistas… and rabbits! Ever wondered what animals have to endure to produce your beautiful fur coat? As a fashion mad, anti animal cruelty fan, I can proudly say I have never bought a piece of clothing consisting of animal furs and skins. But some people really do have no idea what goes on at the fur farms, especially Chinese fur farms. China have no official animal cruelty laws, and to me, it seems like anything goes in order to make money. 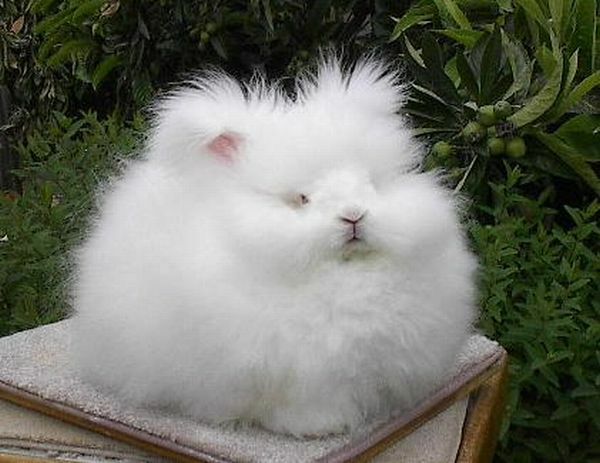 They make up 90% of Angora Fur productions. Many people have seen videos sent out my PETA where animals such as dogs, cats, raccoons and now rabbits are enduring excruciating pain and torture as their skins and furs are ripped from them. They are alive, and conscious whilst this process is going on, and some are still alive after the ordeal. Their screams of pain mimic ours, and this is the evidence that animals feel the same pain as we would, if our skins were ripped from us. Before the ordeal, the animals are kept in tiny cages with no room and are often beaten by the fur farm workers, as if it is entertainment to them. This is truly unacceptable. However, many big name brands such as H&M, Next, M&S, Tommy Hilfiger and Calvin Klein are now banning Angora Fur from their shops and productions. This came as PETA distributed one video in particular of Angora rabbits having their fur ripped from their skins. You can see the video here, but it is very graphic and distressing. So before you go clothes shopping, please stay clear from Angora Fur, and check your labels. The less buyers, the more chance we have of stopping this horrible ordeal.